Best Bones For Broth – What are the best bones for broth? When making bone broth for soup and cooking in general (like gravies) be sure to include larger bones for the marrow and knuckles pieces to get plenty of collagen. Bone broth is not new on the market. I can remember grandmother and great grandmother having a huge stock pot on the back burner. All they ever did was add to it. They were preparing bone broth to make all those yummy soups I enjoyed as a child. These days, bone broth is all the rage and it is easy to find on the supermarket shelf right next to the regular and low sodium soup stock. Easy to find and considerably more expensive. I recently bought a $10.00 jar of beef bone broth at my local supermarket just to see if it tasted any better than the $5.00 container! In a hurry? Save with this bone broth subscription option. What Are The Best Bones To Prepare Bone Broth? 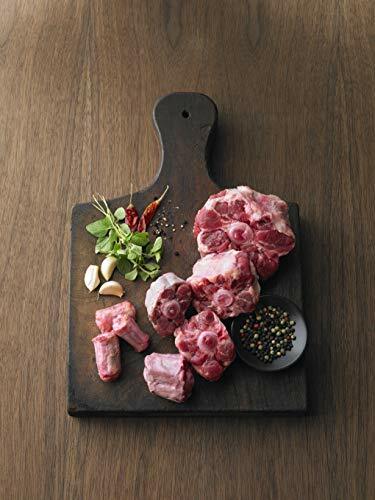 Buy beef shank pieces and oxtails to make yummy soups! We’ve all heard the hype about bone broth. Its health benefits (particularly for the elderly) should not be overlooked but what are the best bones to make rich bone broth? Explore the benefits of homemade bone broth with yummy recipes. What went into Grandmère’s stock pot? Who knows – but we always had plenty of meaty meat bones to prepare a super stock. These days, I can only share information about what I’ve used over the years and where I found the proper bones to make broth – regular or extra rich bone broth. Bone broth is easy to prepare using almost any type of bone, but for the most flavorful results, be sure you include some larger bones containing marrow (or marrow bones) and some knuckles bones or feet (pig’s feet are perfect but chicken feet work as well) to get plenty of collagen. Let’s compare different types of bones you can use to make bone broth and where to buy or order them. Just starting to make your own bone broth? If you use a crock pot or Instant Pot® nothing could be easier! 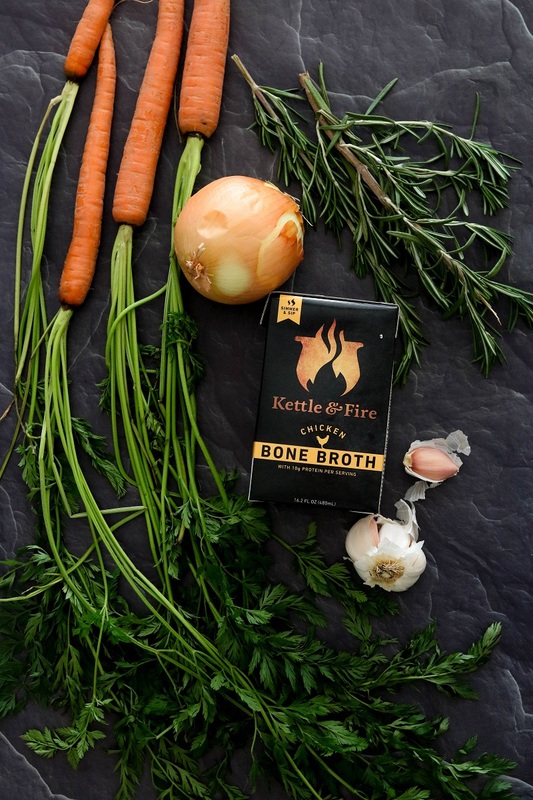 Chicken roaster bones are perfect bones to make that first batch of rich bone broth. Start with a large organic roasting chicken (or bone-in chicken pieces). You can follow my recipe for an easy meal prep. The recipe works equally well with a whole chicken as with pieces. Why a roasting chicken? High in protein and low in sodium, free range organic roasters are larger in size and plumper than fryers! Roast the chicken the old fashioned way using fresh poultry blend seasonings and enjoy the meat for a classic chicken dinner. Add all the leftovers into a large stock pot, slow cooker or Instant Pot®. Cover with water, add onions, garlic, celery and fresh herbs then simmer at least 12 hours on the stove top. For slow cookers, set it to LOW for 8 to 10 hours. Consult the manual when using the Instant Pot®. While you can make bone broth from raw bones, the flavor is much more intense if the meat is roasted first. If you shop at a local Farmer’s Market, ask the “meat man” if he can supply you with meat bones. Chicken bones – meat bones in general – are hard to find in supermarkets. 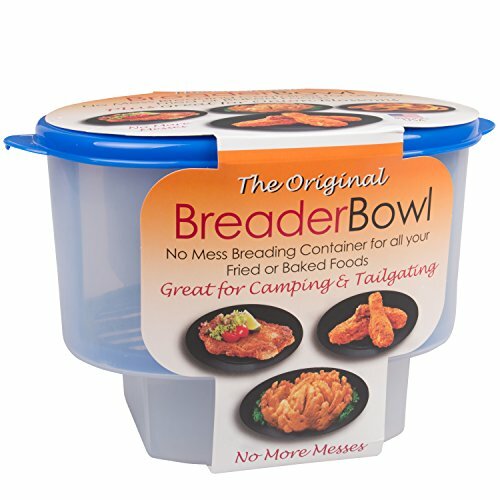 Use The Turkey Carcass Or Buy Pieces! 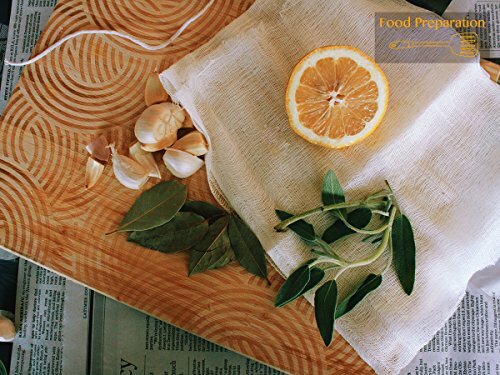 Buy reusable, food-quality cheesecloth to strain the broth. Turkey pieces – fresh and smoked – are easy to find in any supermarket and work just as well as chicken. I’ve roasted turkey wings just to make soup! Below, you’ll find a link to the recipe. You will need a large stock pot to accommodate turkey legs but you can easily cut a wing into smaller pieces. And then comes the turkey carcass for the traditional after-Thanksgiving soup. Don’t throw the carcass away! Instead, make a batch of rich broth. The broth freezes well and you will have batches of the most important ingredient when making soups all winter long. Use cheesecloth or a strainer to strain the broth, pour it into quart size mason jars and freeze until needed. 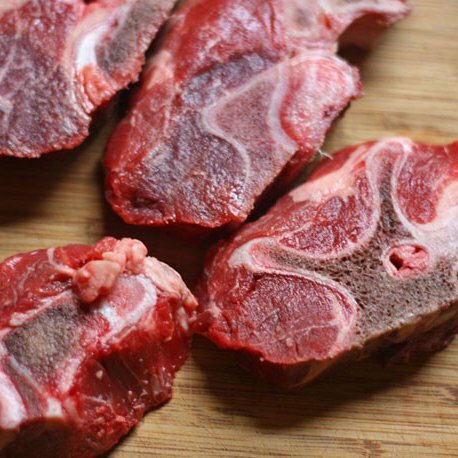 Click Here To Buy Grass Fed Organic Beef Neck Bones. Beef and pork bones are more difficult to find but they make a super rich broth for soups and gravies. Some supermarket butchers are willing to sell bones they may have in the back but those butchers are few and far between. Many adhere to strict rules about NOT selling fat or bones. I know – I tried. The only real resource you have is to shop in specific supermarkets or order the bones from online sources. 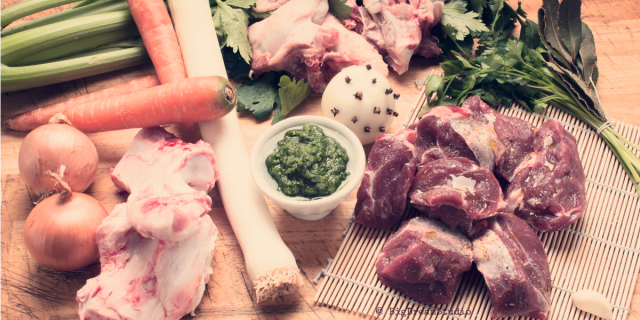 I’ve had the best luck finding marrow bones, oxtails and other soup bones from Latino supermarkets, Shopper’s Warehouse® markets and high end markets with dedicated butcher shops. As with the chicken and the turkey, roasting beef and pork bones before making broth produces the tastiest results. Just spread marrow bones out on a baking sheet or jelly roll pan, season them and bake at 450 F for 20 to 25 minutes. Once cool and safe to handle, place the bones in a large stock pot, cover with water and simmer or slow cook for at least 12 hours. 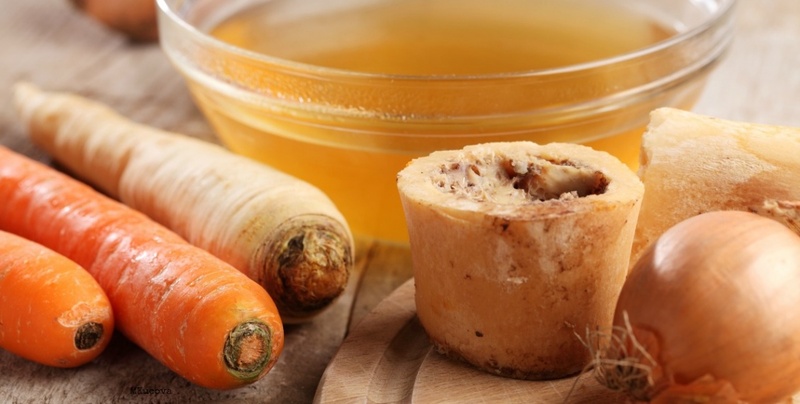 Using a combination of marrow and knuckle bones will give you the best tasting broth with the most health benefits. Bone broth is all I use anymore when preparing soups for my elderly Mom. She’s getting the protein, the collagen, the fluids and an easy to reheat meal all in one hearty serving of soup! Nothing could be easier than saving the bones from your Thanksgiving or Easter ham to make soup stock and bone broth. Ham Bone soup is one of our favorite day-after-Thanksgiving meal. It’s a complete meal in a bowl. Use the bones in water as if to make regular broth or add a few standard soup vegetables and simmer in the crock pot for 8 to 10 hours. Then, make your ham soup adding any leftover bits of ham! Another recipe? Sure. Try our Mixed Bean Ham Soup! Remember my Grandmère’s simmering stock pot? That belongs in the annals of the family’s culinary history and so does the method. Now, it’s easy to make bone broth from scratch. Particularly with an Instant Pot®pressure cooker. Not only can you vary the flavors of your basic bone broth with a various combination of ingredients but you can also vary the depth of those flavors depending on how long you simmer the broth. It takes a little longer than preparing the broth in a pressure cooker. But… as I discovered when making Pig’s Feet, the constant slow simmer of a crock pot does produce awesome gelatin for any jellied meats. Once strained, the broth from the pig’s feet recipe almost immediately solidified into a tasty gelatin. While some fat separators come with a strainer type lid, the lid itself is not deep enough to accommodate large pieces of vegetables and broth making ingredients. You will need a separate bouillon strainer. For completely clear broth, I make it a two step process. First comes the Chinois strainer. It should catch just about everything but if not, I then strain the resulting liquid through food-grade cheesecloth draped across the lid of the fat separator. You could also avoid most of the broth straining by placing all your vegetables and herbs in cheesecloth. 1 What Are The Best Bones To Prepare Bone Broth? 1.2 Use The Turkey Carcass Or Buy Pieces! 1.5 Save The Ham Bones!